Gastrouni organizes a new free training day to drive business performance of hospitality professionals and Spanish restoration. 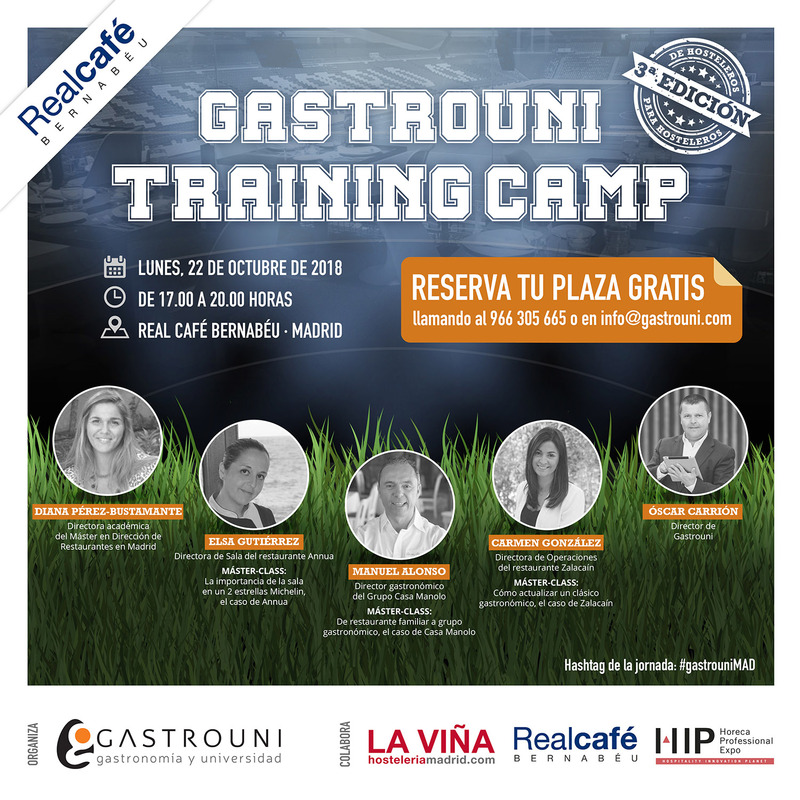 Gastrouni under the name Training Camp, Monday 22 October, from 17.00 a 20.00 hours, Real Café Bernabéu will be held a series of practical sessions and fully applied 35 minute in which they participate Elsa Gutiérrez, director of restaurant hall Annua (San Vicente de la Barquera, Cantabria), Manuel Alonso, culinary director of the group Casa Manolo (Daimuz, Valencia) Y Carmen González, director of restaurant operations Zalacaín (Madrid). Each of the speakers will tackle a specific subject through which attendees can learn about the value of perseverance, sacrifice and work well done management with which business success. 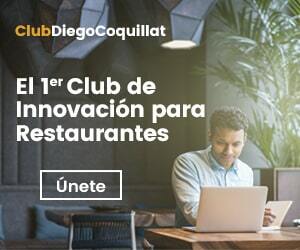 Collaborate on this day The vineyard, the hospitality association of the Community of Madrid, he Real Café Bernabéu, and the Hospitality Innovation Planet (HIP), the most important event of the HORECA sector at European level. Free to attend this training day just register by clicking the button below you find, as places are limited to the capacity of the room.